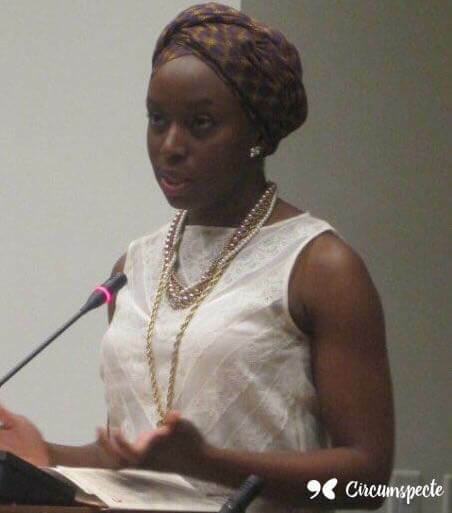 In 2009, Nigerian novelist Chimamanda Ngozi Adichie treated fans to a reading of her short story collection The Thing Around Your Neck which had just been released at the time. 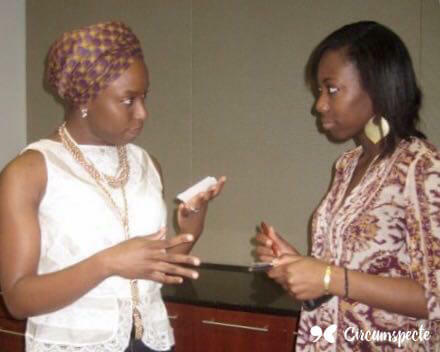 The lecture event organised by the D.C. Young African Professionals Network and the Center for Global Development was more of a conversation between the award-winning author and moderator Uzodinma Iweala writer of Beasts of No Nation. 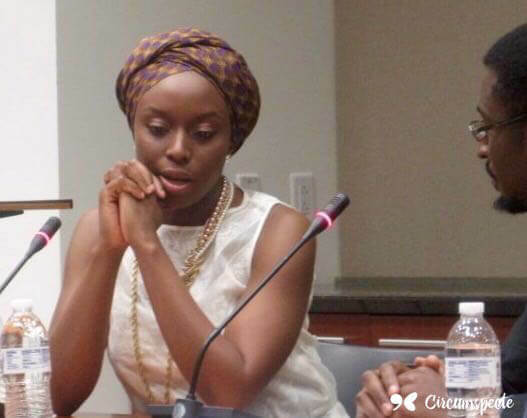 Adichie (whose first name means “My God Will Never Fail” ) jokingly mentioned that she regards Iweala as a smart younger brother and likes to harass him, so you can imagine the kind of dynamic between those two at the event. The questions he asked were great and she was both engaging and down-to-earth. The Purple Hibiscus (2003) writer lives between the United States and Nigeria and has since published Americanah (2013), which is being adapted into a film starring Kenyan actress Lupita Nyong’o, and We Should All Be Feminists (2014), which is required reading for all Swedish 16-year old students. 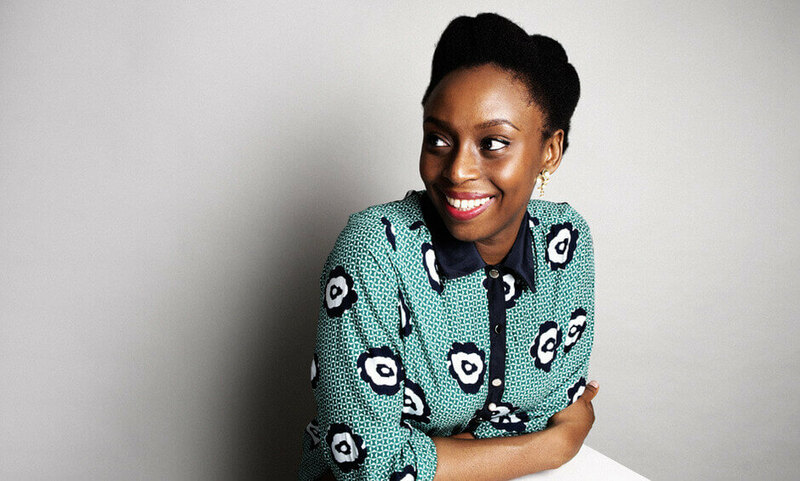 In many ways, Adichie has become a guiding compass and voice on issues relevant to Africa, its Diaspora and the literary and creative industries. This article highlights excerpts from the 2009 event where she read short story “Cell One” from The Thing Around Her Neck. Adichie also talked about Africa’s many narratives, her writing process, the concept of truth, the African Diaspora, foreign aid, among others. Undoubtedly, a treasure trove of timeless insights into one of Africa’s best contemporary writers. What about expectations within one’s own race? Do any of her insights resonate with you? Have other ideas on the issues raised? We’d love to know! This article was originally published on November 4, 2009. Thanks so much Jemila. This is a great transcript. I almost felt like i was there….still so sad i missed it, but now half as sad. You are amaZing! This was great. She is a beautiful person and it is great to have such inspirations. Thank you for sharing and wish you all the best in whatever you do b/c you'll do it well. @Oyinade: Glad I could help lessen your sadness. Waiting to hear what you thought of "Good Hair"
@Iyore: She didn't mention, but most likely book touring since her new book came out just recently. I really enjoyed reading every bit of this transcript. In fact I read everything I get about Chimamanda. It is not so often that one gets to grow in the period or era of a great writer with the opportunity of reading everything that he/she offers. Hence, i wouldn't take this opportunity lightly. I sooo wish I was there! Thanx for posting ur transcript it's great. But what were YOUR feelings on the night? Thanks again for this. I've read her books and she's among my favorite writers. It's also nice to see her beautiful personality. I like the way you wrote the whole thing. By the way, I aslo read your article of WB reforms on Devex, nice. About the sneek peak, sorry but I might post bits and piexes of the story but I won't post the entire thing, copyrights and other 'fears'. By the way you mentioned going back to Ghana next year, what are your plans? Journalism or development, or both? I look forward to following your star and like I said we might meet up…as the plan to return to W. Africa is seriously coming through. O and the moderator was dating my former boss (not sure if they are still together). I met him once. So cool I had no idea he was that big! @Nosromma: Just saw your question. What I think of her: Let's just say she has made it to my favorite author list. In the future, I'd make sure my kids read her stuff. And just coming from a writer standpoint: she's a huge inspiration to me. Not only because she's a great writer but also because she's young, African and a woman AND she uses relatively simple language in her text. Reading "The thing around your neck" right now, and I have smiled to myself aplenty. There's just a quality to her work that's distinctive. And in person, she's so open too! Def an unforgettable night!